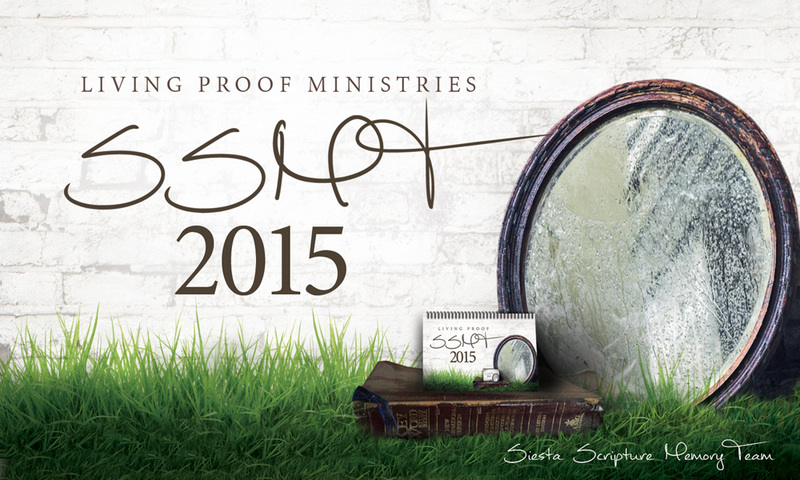 Siesta Scripture Memory Team 2015 Instructions and Spiral Information! HEADS UP, SCRIPTURE MEMORY PARTICIPANTS!!! IF YOU’RE ON THIS POST TO READ THE INSTRUCTIONS, YOU ARE IN EXACTLY THE RIGHT PLACE SO PROCEED WITH CONFIDENCE! ****BUT!!! IF YOU ARE REGISTERING AND MAKING YOUR FIRST 2015 ENTRY WITH VERSE 1, PLEASE GO TO THE JANUARY 1ST OFFICIAL LAUNCH POST! THAT’S WHERE VERSE 1 GOES! THANK YOU SO MUCH FOR YOUR COOPERATION WITH THE DETAILS INVOLVED. SO MUCH LOVE TO YOU! We are revving up around here for SSMT 2015! The Scripture memory team we host and support every other year is the most extensive thing we do around here on the LPM blog so you can know that you are the size of an airbus on our ministry radar right now. We are elated about the year we have ahead and believe with all our hearts that God finds tremendous delight in this group of diverse women banding together to memorize His Word. 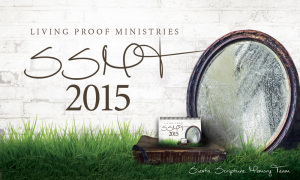 Here is everything you need to know about how to participate in the 2015 Siesta Scripture Memory Team! Please be sure you make it all the way to the bottom of the post where you’ll find the information about our matching spirals. *For you new comers, an explanation of the name is in order. “Siesta” is just an endearment for “Sister.” There’s no club to join and no person you need to become. If you’ve trusted Jesus as your personal Savior, you’re a sister in Christ. If you don’t know Him, we’d love for you to stick around and get to know us and see if anything around here draws you. Everyone is welcome. Here’s a bit of our back-story on the weird name: When we first began the blog, it never occurred to any of us how much we’d come to love each other. As the community grew closer and closer and the participants more and more familiar with one another, one of you asked what name we should call each another. I tried to say, “I’ll tell you what we are: We’re sistahs!” but spell-check switched it to “siestas.” It stuck and that’s been us ever since. We even liked the thought that its actual meaning is to take a nap. We’ll know we’ve been a place of divine intervention if we’re a respite from the female competition and clatter out there. Only Jesus can give us that kind of relief in this exhausting culture. 1. On the 1st and 15th of every month of 2015 starting on New Year’s Day, you will find a post by 8:00 in the morning asking for your memory verse, suggesting one if you’re drawing a blank, and encouraging you in your process. In past years I’ve written all the posts myself but I thought maybe this year we needed to do something to shake it up a bit and make it extra-fun. I’ll still do all the posts on the 1st but the entries on the 15th will be written by a cross section of women from this community who’ve been asked to guest post. That means that, over the course of the year, you’ll hear from 12 of them. They’ll tell you a little bit about themselves, share the verse they’ve selected for that round, and why they chose it. We’ve also asked them to supply us with a picture so you can have a face to go with each name. 2.You are to enter the verse you’ve chosen to memorize for that two-week period within twenty-four hours of the post going up. I’ve been asked many times if it’s okay if you’re late supplying your verse and, yes, of course it is, but try to avoid doing it often. The people who make it to the very end of the year are overwhelmingly those who stay up with it month to month. Please know up front that one of the important parts of this process is the exercise of self discipline. This culture is mass producing self-indulgent narcissists. Year-long commitments like these that require punctuality and focused energy push back on that degenerating trend. All that to say, please don’t drop out if you get behind. I just want you to know that this will be much more successful if you treat it as a real, live commitment you are willing to work hard to keep. 4. THIS ONE IS KEY! As often as possible, choose a verse that means something to you in your present season or circumstance. This is the reason why we don’t all memorize the same Scripture. We’re not all going through the same things. The more you let God lead you to verses that direct you or edify your soul in your present circumstances, the more He will renew your mind toward your challenges. This is a huge part of 2 Corinthians 10:3-5 where we’re told to demolish strongholds and take our thoughts captive to Christ. If you don’t have a verse on your mind or you’re drawing a blank when the 1st or 15th rolls around, you are more than welcome to share the selection offered in the post. That’s one reason it’s there. You might also look at a few of the comments and see if one of theirs resonates with you. I say this next part with a grin: try to refrain from memorizing Scriptures that you think your spouse or your children need to learn. Memorize what you need to learn. That means do your best to avoid jotting your verse on a stick note and planting it on your bathroom mirror where your man can see it and repent of his sins. He probably won’t because he’s got your game. I bet you can guess how I know that. 5. I strongly recommend that you stick with only one verse to memorize each time. (This is just a recommendation and not a rule. You’re free to do whatever works for you.) Keep it simple and meaningful. (If I were addressing you live, I’d have you repeat that sentence back to me so just go ahead and say it out loud in order to nail it down. That sentence could be your best friend through this process.) If you do too many verses or get too complicated, you will soon be overwhelmed and want to drop out. Better to do 24 simpler verses over a 12 month period of time than a chapter over the first month then quit. We want this to be a discipline we practice for the rest of our lives. Think marathon. Not sprint. 6. Either shortly before or after making your entry each 1st and 15th in the blog comment, write the verse by hand in your spiral. (Again, that’s a recommendation and not a rule. I’ve discovered that there’s something about writing it with your own hand and picturing it later in your own handwriting that helps it sink into your memory bank. I’m not entirely sure why.) Take that spiral with you everywhere you go. Read it and read it and read it and read it. Do mental gymnastics with it. Flip that baby over and over. Many women have told me along the way that they’re not good at memorization and I truly understand that. I also beg to offer two responses: First, that may change. Give the Holy Spirit a chance to do something brand new with you. Second, even if you don’t get your verses down word for word, you are still meditating on them as you read and reread them. You still, thereby, accomplish one of the most important goals: captivating the mind to Christ. You just can’t lose on this one. Either way, it has a powerful effect. OK, I think that’s more than enough to get us prepared for January 1st but I so hope you’ll go ahead and get our huge wrap-up celebration on your radar because we want you to know how to qualify and plan to be there! It is the biggest blast ever. *Clock in by first name and city at least 21 out of 24 times. (But please make your goal 24 out of 24!) Let me reiterate that you can be late with your entry on a 1st or 15th of any month but, by the end of the year, there has to be a record in the comment sections of you signing in at least 21 out of 24 times on a SSMT post. Make sense? Please give us 24 hours to post your comment before you assume it got lost. We still moderate all comments and the amount we get on SSMT days necessitates a slower pace. Thank you for your cooperation! Whew! Have I exhausted you?? I’ve worn myself out. Sorry this is so wordy! We just want to answer as many of your questions up front as possible. This entry was posted on Wednesday, December 17th, 2014 at 8:08 am	and is filed under Scripture Memory 2015, Uncategorized. You can follow any responses to this entry through the RSS 2.0 feed. You can skip to the end and leave a response. Pinging is currently not allowed. But I hold not my life of any account as dear unto myself, so that I may accomplish my course, and the ministry which I received from the Lord Jesus, to testify the gospel of the grace of God. I, Jesus, have sent My angel to testify to you these things for the churches. I am the root and descendant of David, THE BRIGHT MORNING STAR. So we do not give up. Our physical body is becoming older and weaker, but our spirit inside us is made new everyday. I did not understand that we had to record our verses here every 2 weeks. In the beginning I did a few of them and my sisters, aunts, mother and I have shared various verses throughout the year on facebook messages. But I am not several versus behind and need to get caught up. I hope to attend the SSMT conference! I am so excited! God has allowed me to overcome cash flow issues, health issues, car issues to the place that I think I am going to be at the event! 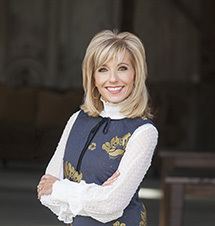 I am so praying and hoping I get to actually meet Beth Moore face to face. I am not sure why but it is a strong desire of my heart. This year has been an amazing year and the verses God gave me in amazing ways to memorize have sustained me through a lot of life issues. Beth has been an amazing friend, teacher, encourager and sister in Christ, Jesus over the last 20 years to me in a very real way. You know those people who come in and out of your life at just the right times and you just pick up where you left off? I know that is how it would be with her. I think I just want her to have my face in her mind so when we get to Heaven we can pick up where we left off and have one major conversation about how amazing our God is! I love the Jesus I see in her so much. “But store up for yourselves treasures in heave, where moth and rust do not destroy, and where thieves do not break in and steal. For where your treasure is, there your heart will be also.